Get all of your needs for fall in one outfit. This is halloween and thanksgiving at its finest! 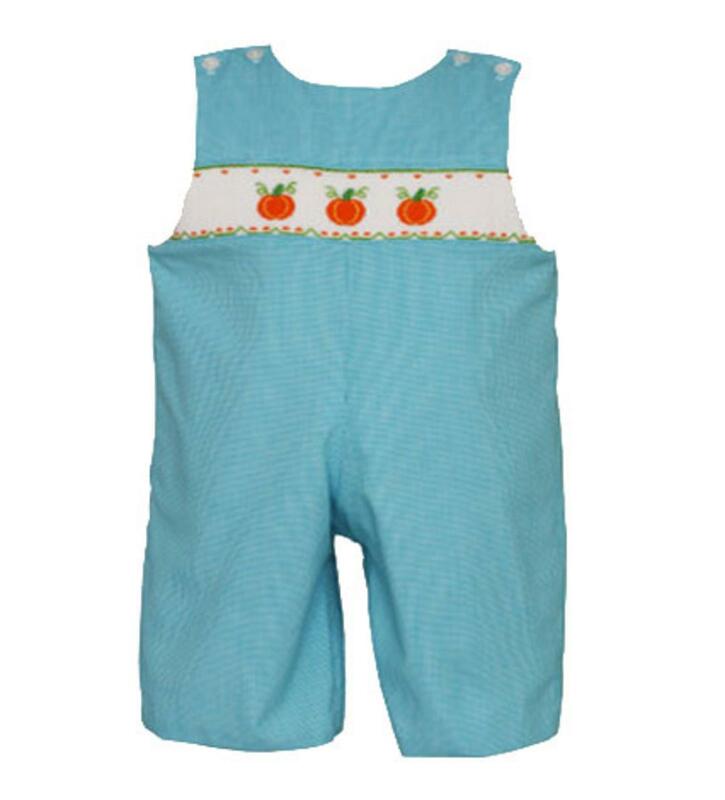 The turquoise and white checkered romper is handsmocked at the chest with three littls orange pumpkins. 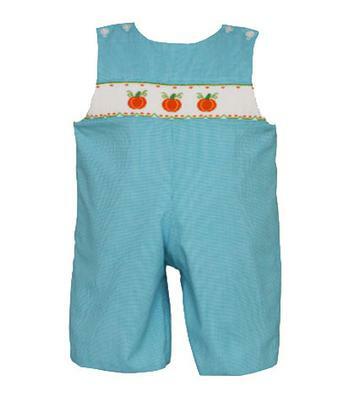 It is 55% cotton and 45% polyester.